Crazy, absurd, violent, mocking join us on a journey into DADAISM! 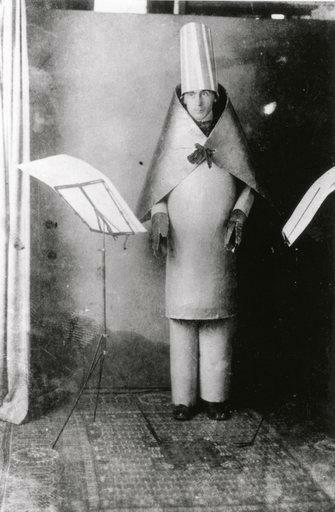 Dada is a crazy absurd violent mocking movement that is hard to pin down .Dada was anti establishment and a direct response to a society gone mad in the grip of World War One. It poked fun at Politicians and the establishment – Satirised the media – Mocked the established Culture. It was anti society even anti itself, it’s proponents would regularly state Dada is anti Dada. Its influence is still being felt today….. In Early February 1916 Hugo Ball poet and philosopher founded the Cabaret Voltaire in a Bar in Zurich. Switzerland was neutral during the war. It was a nightclub and arts society where artists could turn up and perform there work. It attracted artists writers,poets and musicians. Towards the end of February it had become such hive of artistic activity that it was turning into a movement. One that needed a name…. It was called Dada. It is not certain how the name of Dada was chosen. It may have been that Hugo ball and a fellow performer Richard Huselbeck chose the word at random from a dictionary.In French Dada means Hobby Horse. It means yes yes in Romanian Dada and is baby talk for daddy. The Romanian Artist Marcel Janco made primitive looking scary masks and costumes that were influenced by Romanian folk art. Ball described them as “The horror of our time, the paralysing background of events, is made visible,”. Artists like Sophie Taueber would wear these outfits and would feel transformed and performed crazy scary improvised dances. As well as performances Dada included art and sculpture. Arp created several so called chance collages. Tearing up a work in bits again not using scissors he surrendered a certain amount of control. 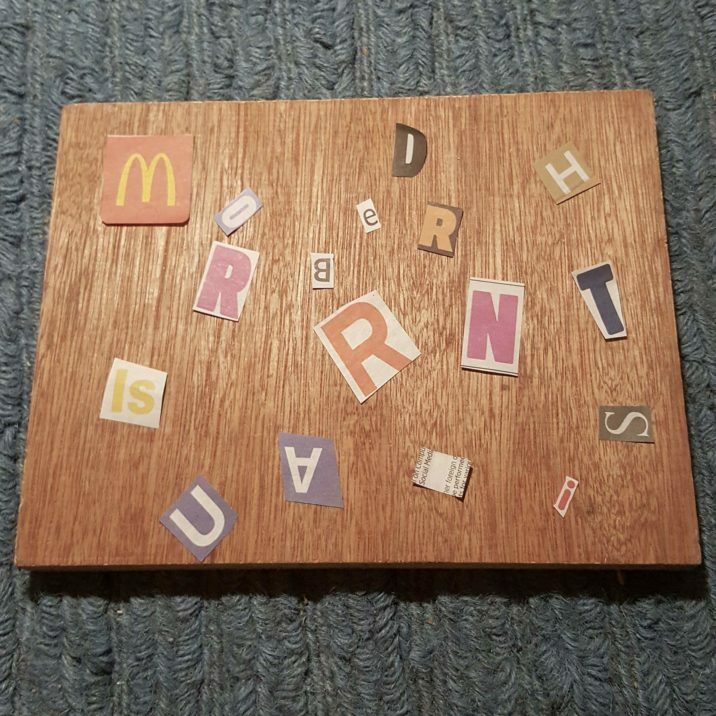 He dropped them onto a large sheet of paper and just pasted them more or less where they fell. The dadaist where dubious about where had thought had led the world, so they turned chance instead. Tristan Tzara sent off a fake story to newspapers about a fake dual between him and Jean arp, who was injured during a duel. It was actually published by a newspaper. 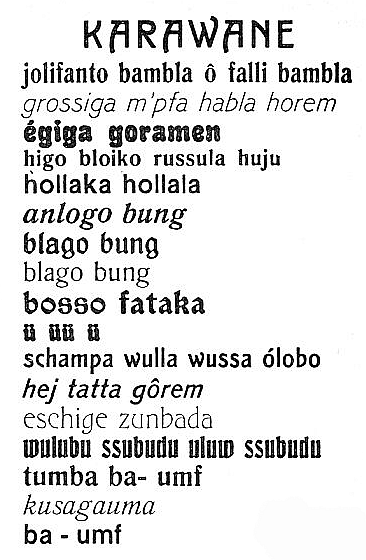 Tristan Tzara also created another way to create work from the news. This was done by cutting up a newspaper article and re-arranging the words at random to make a new work. This Shows us that news is just construction of words and not necessarily to be believed or respected.